Bitcoin Press Release: Leading sportsbook now more accessible than ever with first fiat currency betting option. 28th June, 2018. Tallinn, Estonia: Sportsbet.io, the leading Bitcoin-led sportsbook, has announced that it will accept euros as a deposit and wagering method – making betting on the site easier and more accessible than ever. The move underlines Sportsbet.io’s commitment to delivering fun, fast and fair gaming to all, with customers now able to deposit, play, win and withdraw in euros via their own bank. 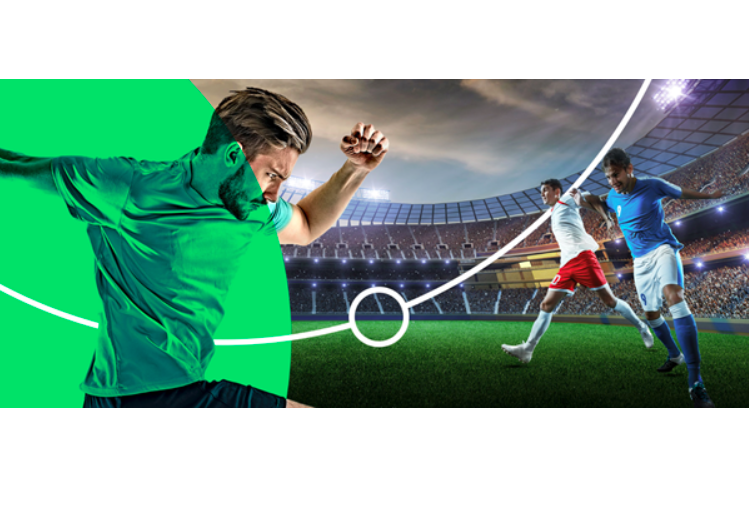 Euro deposits will open Sportsbet.io’s world-class user experience to an even wider audience, who can all now access its wide range of markets, price boosts and specials – not to mention a World Cup Centre packed full of unbeatable offers. Euros is the third payment method added to Sportsbet.io, following the recent addition of SOC coin, the cryptocurrency of the All Football app. Players can also deposit with their credit or debit card using BTCXE, Sportsbet.io’s new partner’s fiat-to-Bitcoin exchange service. Just two years on from launch, this growing range of payment options is helping to position the operator as the sports betting venue of choice for players around the world. Sportsbet.io continues to drive momentum during the World Cup, consistently delivering innovation that puts the player at the centre of its universe. Earlier this month, it launched ‘Your Road To Glory’, a ground-breaking Twitch-based football show bringing news and views from this summer’s World Cup in Russia. Already viewed over 25,000 times, the two-hour show which is beamed live from Sportsbet.io headquarters features betting insight, commentary and exclusive offers. Sportsbet.io’s commitment to pushing boundaries and disrupting sports betting will continue beyond the World Cup with a series of exciting new features set to launch. Sportsbet.io has an expansive, quality betting product across all major sports and eSports, offering more than 350,000 pre-match events per year, as well as comprehensive in-play content. It also provides innovative markets such as player prop bets for soccer, American football and basketball, and is the only bitcoin-led sportsbook to provide live streaming across all major sports. Sportsbet.io prides itself on its secure and trustworthy betting service, with withdrawal times of around 1.5 minutes amongst the fastest in the industry. Sportsbet is the source of this content. Virtual currency is not legal tender, is not backed by the government, and accounts and value balances are not subject to consumer protections. This press release is for informational purposes only. The information does not constitute investment advice or an offer to invest. The post Sportsbet.io Branches Out Beyond Bitcoin with Euro Wagering appeared first on Bitcoin PR Buzz. Bitcoin Press Release: Jeff Burton, the founding member of Electronic Arts, one of the oldest and largest gaming companies in the world, and international strategic advisor to all manner of startups, brings his entrepreneurial mindset to Dragonglass, the world’s first gamified cryptocurrency mining experience. March 5th, 2018. Tallinn, Estonia: Dragonglass – with its token generation event underway – is a radical cryptocurrency mining solution that was built to bring mining to the general public. Cryptocurrency mining has taken the headlines in the mainstream media, yet the affair remains complicated and confusing to the public. Dragonglass makes a seismic shift in this regard by allowing users to mine cryptocurrency with a mobile game, without relying on the smartphones computing power. The company has introduced a new utility token called Dragonglass (DGS) that is used in the gamified mining experience to make mining seamless and more enjoyable. Acquiring DGS enables a user to mine up to 10 times of the obtained tokens by playing the game. This way Dragonglass bypasses the usual crypto-technobabble and makes mining easy for everyone. The groundbreaking new technology of the project and clarity of Dragonglass user experience was among the reasons why Mr. Burton decided to join the Dragonglass team. The same way that gaming was a starting point for many people to pick up programming, Dragonglass is a reminder of how an accessible and fun experience can easily become the next tech revolution. Dragonglass is already breaking new ground – it is the first and the only mobile game in the market that allows users to mine real cryptocurrency. Unlike most TGE, Dragonglass has delivered on its promise at the start of the token sale and released the app for both iOS and Android devices. Jeff Burton remembers that decades ago many people were inspired to begin their careers in technology by playing games. The history repeats itself, as cryptocurrency games are set to merge the multibillion dollar industries of mobile gaming and blockchain. Anyone with an iOS or Android device can mine DGS as soon as they buy DGS tokens and users can Download the Dragonglass app here. The app contains the “Dragonglass Miner” game – a fast-paced puzzle platformer set in medieval times, where players must carry out various tasks to save their family and mine real DGS cryptocurrency in the process. The game has 10 pre-designed levels and an infinite number of randomly generated levels. To successfully mine the cryptocurrency, players have to complete and pass the game’s levels. Founded in 2017 by software engineers Mart Lume and Gleb Skibitsky, Dragonglass has grown to incorporate 13 additional members and five advisors. With the main goal of making cryptocurrency easily accessible to the general public, Lume and Skibitsky utilized their advanced backgrounds in software engineering to gamify the cryptocurrency mining experience and make it user friendly for the public. Through the Dragonglass app, they have also been able to educate the public on blockchain, support different causes while giving back to the community, and ultimately, secure a strong position in the crypto-gaming industry. The post Electronic Arts Co-Founder Jeff Burton Joins Dragonglass to Bring Blockchain to the Masses appeared first on Bitcoin PR Buzz. Bitcoin Press Release: Hashflare announces new, lower prices for Scrypt contracts including Litecoin with $4.20 per 1 MH/s. On top of the already low prices, HashFlare customers can receive a 5% discount off the price of their first cloud mining contract purchased using discount code HF18WQOD22J5 until March 6th. February 27th, 2018 Tallin, Estonia – Starting from 13th of February, miners can purchase Scrypt contracts for $4.20 per 1 MH/s on Hashflare, as the latest trends in crypto market allowed them to decrease the price 40%. HashFlare is also pleased to announce a special offer by giving a 5% discount on SHA-256, SCRYPT, ETH and EQUIHASH contracts. Discounts can be activated simply by using promo code HF18WQOD22J5 until March 6th. The special code can only be used once per account, and there are only 900 uses available total. HashFlare has been operating for over three years, offering SHA 256, Ethereum, Scrypt, and ZCASH cloud mining contracts. Some of the additional features provided by the platform include proof of hash rate, mining pool selection, and instant payouts. These features allow customers to not only monitor the subscribed hash rate live, but also choose the most profitable mining pool to put their hashing power to work. More information about the company is available in a HashFlare review on a popular cloud mining review site. The cloud mining contracts on the platform are available to everyone across the world, offering an opportunity for customers to be part of one of the vital operations in the network. HashFlare is the source of this content. Virtual currency is not legal tender, is not backed by the government, and accounts and value balances are not subject to consumer protections. This press release is for informational purposes only. The information does not constitute investment advice or an offer to invest. The post HashFlare Offers Cheaper Bitcoin and Scrypt Cloud Mining With 5% Discount appeared first on Bitcoin PR Buzz. Bitcoin Press Release: Fabric Token (FT), a new token developed on the ethereum blockchain, aims to provide a way for anyone to create and deploy their very own smart contracts or decentralised applications (DAPPs). February 22nd, 2018, Estonia – The Fabric Token ecosystem is a platform which will allow users to generate smart contracts and DApps, without resorting to technical experts. Fabric Token has raised more than 1.1k ETH, (currently equal to more than $1 million USD) in under a day after the TGE opened. The TGE has a hard cap of 8,906.5 ETH, currently equaling close to $8.5 million USD. The Fabric Token TGE will run until the hard cap is reached or until April 1st, 2018. Unsold tokens will be burned at the end. The FT TGE has a minimum cap of 0.1 ETH and a maximum cap of 9 ETH on contributions. 1 ETH currently purchases 8,000 FT. The Fabric Token ecosystem is composed of four elements – The Fabric Token itself, TokenGen, DApp Workbench and the Fabric Store. Through the Fabric Token ecosystem, we will solve several essential problems in the adoption of blockchain technology and smart contracts, including multiple difficulties in the development of smart contracts, mainly with the Solidity programming language on the Ethereum blockchain; the lack of an official testing framework for Solidity, and the current problems of both intra- and inter-organizational business processes. The Fabric Token, which will be used solely as a utility to make payments for products and services within the FT ecosystem. TokenGen, which will allow users to easily generate smart contracts for their tokens and fundraisers, therefore shifting their focus from this unexplored and underdeveloped area to the thing that matters most – their idea. DApp Workbench, which will allow businesses of any size, to easily integrate blockchain and smart contracts within their company’s intra- and inter-organizational business processes as well as model, manage, and improve their workflows using an intuitive drag-and-drop interface with a BPMN diagram representation for the workflows. The Fabric Store, which will allow third-party developers to create smart contract components, thus further expand the functionality scope of our software, while also promoting the Fabric Token ecosystem to an ever-growing group of users and businesses. We firmly believe that blockchain technology and smart contracts will play a huge role in the radical improvement of numerous multi-billion dollar industries and government institutions. This provides an imperative for creating a bundle of simplified user interfaces in order to enhance innovation in this developing industry. The Fabric Token ecosystem will empower individuals and businesses with easy access to blockchain technology and smart contracts thus allowing virtually anyone to participate, in one way or another, in building a decentralized and trustworthy world. The post Fabric Token Raises More Than $1 Million in Under 24 Hours After TGE Opens appeared first on Bitcoin PR Buzz. Bitcoin Press Release: The Coingaming Group, operator of leading bitcoin-led iGaming brands Bitcasino.io and Sportsbet.io, has rolled out a Lightning Network closed beta test to a selection of its users. 30th January 2018 – Tallinn, Estonia – The Lightning Network is an in-development solution to the bitcoin scalability issue, which allows for micropayments to be made between two parties without broadcasting directly to the blockchain, reducing transaction fees, speeding up the whole payment process and considerably increasing privacy. Participants instead assign bitcoin to a payment channel, and then confirm the amount each party can redeem. Either party can close the transaction at any time, which then triggers the latest balances to be uploaded to the bitcoin blockchain. Coingaming hopes to leverage the greater speed and flexibility this provides to cut confirmation times for payments, while also offering cheaper transaction fees. In keeping with the group’s focus on the customer, a successful beta test will see the solution rolled out across its Sportsbet.io and Bitcasino.io brands, to ensure transactions remain the fastest in the industry and the user experience the best it can be. “The Lightning Network is a potential solution that could revolutionise bitcoin as a payments platform. This trial will pave the way for a roll out very soon as we cement our position as the leading bitcoin operator. Reio Piller, CTO of the Coingaming Group, said. The Coingaming Group is a leading operator of iGaming brands, including the bitcoin-focused casino Bitcasino.io and sportsbook Sportsbet.io as well as a dedicated eSports betting brand Bets.io and a slots-focused online casino Slots.io. With offices in Estonia, Ukraine, UK, Brazil and Malaysia, the group employs more than 150 staff. The post The Coingaming Group Beta Tests its Game-changing Lightning Network appeared first on Bitcoin PR Buzz. Bitcoin Press Release: iPRONTO, created by Idea Paradise is designed to connect entrepreneurs with investors, validate and incubate business ideas and provide allied services over a single blockchain platform. January 30, 2018, Tallinn, Estonia – iPRONTO is a virtual Incubation platform built on Ethereum blockchain which overcomes the limits to entrepreneurial spirit set by political boundaries, location, distance or economic condition. At iPRONTO the belief system is that great ideas know no limits set by economic background, color or location. Its endeavor is to facilitate such novel ideas to blossom and thrive irrespective of their initial limitations. iPRONTO is a single window blockchain platform to foster the global startup ecosystem. The platform is designed to offer a range of services, all valuable to innovators and entrepreneurs, to help them nurture their idea into a full-fledged product. iPRONTO hosts all the stakeholders in the startup ecosystem to facilitate interactions between entrepreneur and investors, government bodies, lawyers and other service providers to name a few. The use of blockchain technology allows the platform to offer unprecedented transparency while ensuring data integrity over a tamper-proof system. With the platform, the creators if iPRONTO are looking to streamline the startup as well as investment ecosystem. It plays a huge role in validating the startup idea and offering the necessary guidance as well as services to the startup through other stakeholders on the system. These curated and incubated startup portfolios can be accessed by venture capital and angel investors to conduct easy due diligence by accessing all the documentation and records stored on blockchain before putting their money on a business of their choice. iPRONTO follows a simple, yet effective system where innovators and entrepreneurs can submit their business idea on the platform. Similarly, investors looking for the next revolutionary idea can be part of the platform and pick from the list of submitted ideas for startups. The submissions will be listed only after ensuring the viability of the business idea, and all the relevant documents, licenses etc will be recorded on blockchain for easy verification and added transparency. In addition to presenting the business idea to investors, the platform continues to foster the growth of these services by providing them access to incubation services, and facilitating easy access to government services to get the necessary licenses and registrations required for operating in the respective geography. Startups can make use of the allied marketing, legal, HR, finance and other business services available on the platform to meet their requirements. All operations on the iPRONTO platform are automated with the use of Smart Contracts, which not only cuts short the processing time, but also ensures foolproof record keeping of all the activities for added convenience during audits while strengthening the credibility of the startups. The iPRONTO ecosystem is driven by its native iPRONTO Coin (IPR), which not only acts as a medium of value exchange but also as a community voting mechanism for various decisions on the platform. The IPR token holders will also be eligible to receive a share in revenues generated by the platform. iPRONTO is in the midst of a token sale, presenting an opportunity for the community members to become part of the initiative. Participants in the token sale can purchase IPR tokens at discounted prices and benefit from various incentives and privileges entitled to token holders. More information about the token sale is available on the official website. Community members can also take part in the upcoming bounty program to gain iPRONTO Coin rewards. Lucyd is the source of this content. Virtual currency is not legal tender, is not backed by the government, and accounts and value balances are not subject to consumer protections. This press release is for informational purposes only. The information does not constitute investment advice or an offer to invest. The post iPRONTO Fosters Innovation and Startups by Connecting Them to Incubators and Investors appeared first on Bitcoin PR Buzz. Bitcoin Press Release: A recent development with a major video sharing corporation has slashed revenue sharing with content producers, leaving small video makers out in the cold. This reiterates the urgent need for an open and fair environment for content producers, which decentralized video platform Viuly aims to provide. January 25, 2017, Tallinn, Estonia – Video content producers, particularly independent ones with modest online followings, have taken to social media to vent their disappointment with recent announcements from a major video hosting platform that will see thousands of small video producers dropped from revenue programs. The strict decision was apparently made to comply with advertiser guidelines, prompted by repeated scandals of offensive content appearing on the major platform. The change in protocol has raised entry requirements for participants, effectively demonetizing a significant portion of video content. This will involve a high minimum number of subscribers as well as a minimum number of views imposed, essentially marooning entire communities of independent video makers and rising stars who will not make the cut. How will Viulys decentralized ecosystem benefit all video creators? With the elimination of middlemen and their exorbitant commissions, revenue generated on the Viuly platform (currently in Alpha) is distributed in a fair and equitable manner, with content producers earning and viewers rewarded, with percentages far higher than that given by the current industry monopolies. Video makers of all budgets and means will collectively share equal benefits on the Viuly ecosystem, earning revenue in the form of VIU tokens from the very first view on any video they upload, as there are no restrictive entry requirements. VIU tokens are the native currency of the Viuly platform. They can be used by advertisers to purchase advertising packages, earned as rewards for viewing videos and earned by video makers for generating views on their videos. Viuly’s aim to revolutionize the video sharing industry is founded on the belief that video content should be free for all through an open system of distributed content, without restrictions and limitations to access, imposed by centralized intermediaries. As participation in revenue programs on centralized platforms get stricter with pre-approval, and still vulnerable to the inclusion of “offensive content”, Viuly moderates it’s content through an entirely decentralized system. The platform will ensure that pre-approved content is rated and passed or marked for violation by peer-appointed moderators adhering to a common standard of community ethics. All users will be able to access any content without worrying about geographical restrictions or access limitations commonly found on major video hosting platforms. Viuly’s mission is to disrupt the multi-billion dollar industry of online video-sharing with its blockchain-based solution. Through decentralization and transparency, it aims to create a fair and open video network operating on an equitable model of revenue sharing. VIU tokens are the native currency powering the Viuly video platform. They are used to transfer value between advertisers, content creators and users. Viuly will be a full-fledged platform for users and content creators to share and watch videos, while immediately earning rewards for their interactions. This revolutionary ecosystem will enable a fair, unrestricted environment to share, watch, and upload any content. Viuly’s revolutionary blockchain solution has already led to a firm backing of EUR 150,000 from blockchain investing firm Krypton Capital. Together with Krypton Capital’s “smart money” philosophy, Viuly aims to establish strong ecosystems of related companies to grow values and revenues together. Viuly is the source of this content. Virtual currency is not legal tender, is not backed by the government, and accounts and value balances are not subject to consumer protections. This press release is for informational purposes only. The information does not constitute investment advice or an offer to invest. The post Decentralized Video Sharing Platform Viuly Offers Video Makers Unrestricted Earnings appeared first on Bitcoin PR Buzz. Bitcoin Press Release: The advertising market is a completely unique mix of technologies, human factors and innovations, all merging for a single purpose of creating enough quality content to sell of a certain service or product to the correct target audience. Therein lies the challenge as finding that audience is at times a monumental undertaking that even the most advanced systems cannot solve efficiently. 23rd January, 2018 – Tallinn, Estonia – Lost revenues and budget waste have long become a common phenomenon on the AdTech market, leading to a stagnation spurred in turn by obsolete technological solutions and an ossified mentality of marketing specialists, unwilling to adopt new approaches. The trend started changing in early 2016 when the advent of a massive number of ICO (Initial Coin Offering) projects based on blockchain technology swept across the globe, crating, in essence, a completely new industry. The marketing and AdTech industries have not been left unnoticed by the new technological upheaval as multiple projects have begun offering solutions to various issues plaguing the market. The capabilities of blockchain technology have granted the opportunity of solving some market issues and the industry is showing positive growth. According to ICOWatchList, the US stands for about 20% of all ICOs, the UK is at 11%, and Russia trails at 10%. The AdTech market has also been largely segmented with the US leading with 39% of ICOs in the sector, Russia with 13%, and the remaining market participants at less than 5%. As can be deduced, there is a noticeable advantage of AdTech projects being developed in the US. “Many in the ICO industry are fighting an ongoing battle with the competitive profitability factor of Bitcoin and other cryptocurrencies. The average income of AdTech versus the yield of Bitcoin is considerably higher. Such growth was achieved thanks to projects like Snovio, AdEx and Viuly. As is evident, AdTech projects on average grow far faster than Bitcoin, thus producing greater profitability yields,” explained Dmitry Malyanov, Co-Founder of AdHive. Prior to Q4 of 2017, the AdTech sector was fairly modest. The real boom came in the last quarter of the year. October saw the emergence of the same number of ICOs as in the previous 9 months taken together. In general, ICO AdTech projects have proven to be quite successful. The trend is predicted to continue in the coming year as the market is experiencing growing demand for products based on blockchain technology and the AdTech market is one of the segments leading the way. An impressive 19 projects have already announced their ICOs in Q1 of 2018 (against 16 projects in Q4 of 2017). The offerings of these startups have attracted the attention of multiple parties and their prospects seem to be quite promising as the ideas backing their products are demanded on the market. The average amount of funds raised on ICOs is about $15 million, the median being $5.5 million. This is higher than the average for all ICOs together taken in other sectors of the industry, proving that AdTech is one of the most actively growing sectors. The most popular ones on the AdTech market are blockchain-based projects, which position themselves as marketplaces for advertising. These are pseudo exchanges, such as AdEx, or others like sponsored content sales platforms. They offer the sale of advertising through banners, contracts or bloggers. Just as popular are browsers that collect data for more effective marketing and have built-in functions for consumer interaction, as well as projects for marketing in virtual reality and video advertising. AdHive is an native advertising platform for automated, mass placement of native advertising on influencer channels, an AdTech project based on blockchain technology with payments based on Ethereum smart contracts. AdHive provides unique solutions, that helps businesses successfully scale their influencer marketing with AI and community approach increasing brand reach, as well as providing a way to monetize blogs and create better content for viewers. The main goal is to remove the boundaries between brands and influencers, occupying a major part of the fastest growing advertisement segment. AdHive stands out from the closest competitors as it also uses AI in its core, allowing in-depth analysis of advertising campaign results. Influencer marketing is an incommensurably large segment of online advertising, a rapidly growing segment of the industry. Blockchain has arrived and is crawling into the advertising market at impressive speeds. The post AdHive: AdTech and ICOs Can Mix appeared first on Bitcoin PR Buzz.